Why does this matter? Because calcium-rich soil is coveted by winemakers worldwide. At Margarita Vineyard, this translates to fruit with high-toned flavors, fine structure and pretty aromatics. 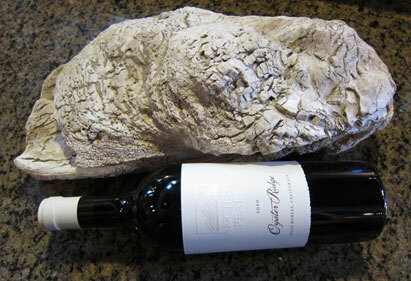 This ancient sea bed is actually one of five soil zones at Margarita Vineyard. Few vineyards boast such a spectrum of geological diversity. This diversity enables us to grow the same varietals in a range of soils, ultimately enhancing the complexity, texture and dimension of the resulting wines. All five soil types play a role in our wines—but the ancient sea bed is by far the most rare and dramatic. Come out for one of our Saturday vineyard tours to see it for yourself.